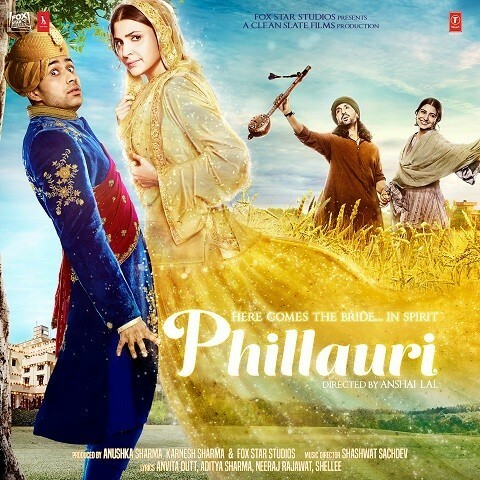 Phillauri Bollywood Hindi Movie starring Anushka Sharma, Diljit Dosanjh and Suraj Sharma in leading roles, is an Indian Hindi fantasy comedy film, written by Anvita Dutt Guptan, directed by Anshai Lal and produced by Anushka Sharma, Karnesh Sharma of Fox Star Studios Clean Slate Films. The film was released worldwide on 24 March 2017. Movie Plot – A man must marry a tree to ward off threats to his love-life, but the tree turns out to have more spirit than the man bargained for. Romy, Vivek Hariharan, Mika Singh, Jasleen Royal, Pavni Pandey, Diljit Dosanjh, Nakash Aziz, Shilpi Paul, Shehnaz Akhtar and Jasleen Royal have lend their voices to the songs of music album of Khajoor Pe Atke, while the music director of this movie is Shashwat Sachdev with Jasleen Royal and the Lyrics are penned by Anvita Dutt, Aditya Sharma and Neeraj Rajawat.